I am currently in my final year on the undergraduate Illustration degree at Cardiff Met. I moved to Wales from Scotland with my partner to study, and over the past three years I’ve been passionate about my course and getting involved in various projects in Cardiff externally. The BA Illustration course at Cardiff Met is one of the few in the UK, in my opinion, which really allows students to explore illustration through its intentions to communicate with others through any form, as opposed to having strict traditional bounds. The tutors are incredibly passionate about illustration in all forms, and there is a huge emphasis on kindness and empathy ingrained in every project. I believe this is what has allowed me to develop my work in the way I have. The BA Illustration course here offers a lot of flexibility. Towards the end of second year, we were given a brief from Creative Conscience, a charity who support students and recent graduates to create work for positive social change. Our task was to create a piece of visual work in any form which could help address an issue of our choice. As someone who is transgender, I thought it was important to use my experience and knowledge to create something that could positively educate on gender, as our community is misrepresented and misunderstood by much of UK society and media. I wanted to work in animation, as this is a form I have worked in consistently on the course, and I felt it was important to include the experiences and opinions of others to make the work more powerful and representative of our community. A still from my award winning animation. I scripted an animation based on over 50 responses from a survey I conducted, and ran a trans awareness training workshop with the voice actors cast in the film. 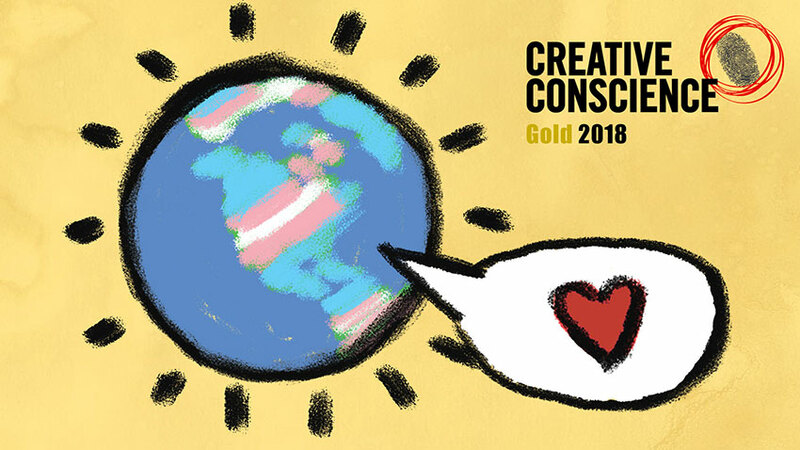 I submitted the animation to the Creative Conscience awards where it won a gold award in the illustration/animation category in August 2018. Since then, my partner and I continued to witness the transphobia that exists within the UK and the struggles that the trans community face in Wales, so we have set up Trans Pride Cardiff. Trans Pride Cardiff will be both a protest and a celebration. This will be a protest march and a series of small events around the city with the aim of allowing trans people and allies to celebrate, protest and educate. It will run from the 29th – 31st March 2019 and is being supported by Creative Conscience following my award. Alongside Trans Pride Cardiff, I have written my own brief for my third-year subject module, which I have titled We are the GUNK, and have also tied this into the Creative Conscience and Pride work. It combines my two main passions of illustration and music and unites these forms to allow young people to express what matters to them through the form of workshops and a fictional, illustrated band, called the GUNK, which will represent the music of young unestablished bands and musicians. I will animate and draw the band to accompany the music that is submitted, and the visualisation for the band will all be inspired by the workshop images that are produced. The project is inspired by the process of collaborating with others but I have scaled this up so that I am now working on facilitating workshops with youth charities and engaging face to face with participants in the project. It also has a social aim – this time about youth culture and identity more widely rather than gender identity specifically. 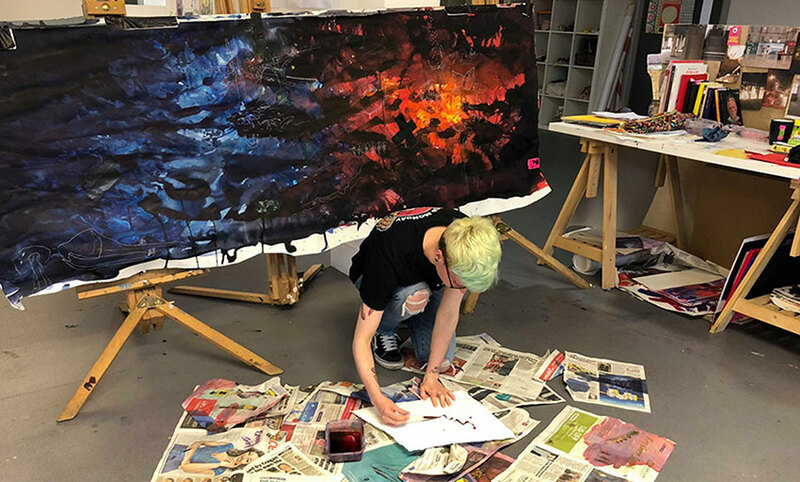 Overall, Illustration at Cardiff Met is a wonderful course which allows students the freedom to explore interdisciplinary ways of working whilst always remembering to keep the heart at the centre of what we do. I think this has put me in good stead for continuing to make music and illustration for social change. 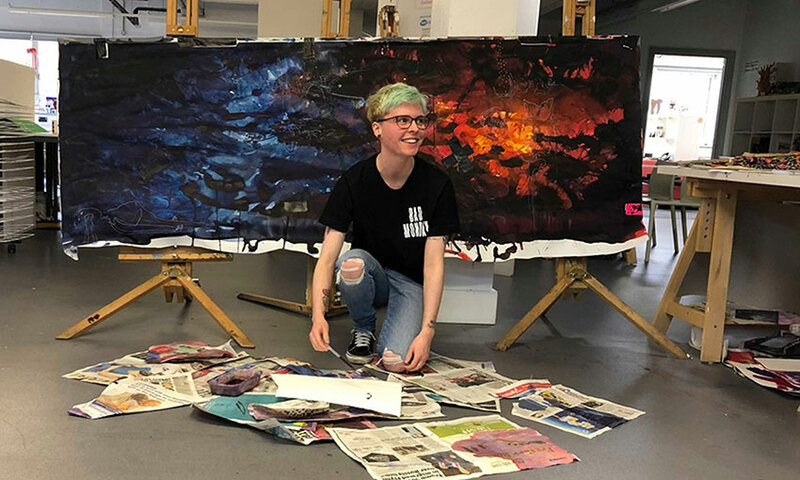 Find out more about studying art and design courses at Cardiff Met or check out Miles’ award winning video below.